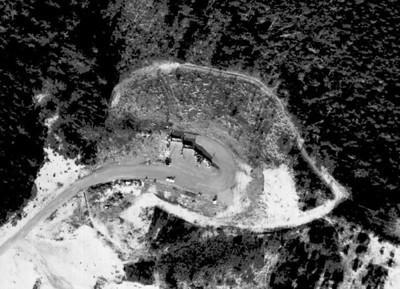 Images arranged according to date taken, from 1939 through 2010. Taken in 1939 for the U S Army Corps of Engineers. 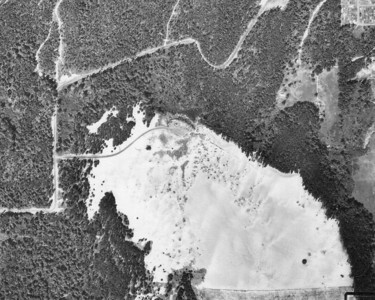 The cemetary shows in the upper right corner of the image, but there is no dump at the location of today's CARTM. Taken 1993 for Oregon Department of Transportation. 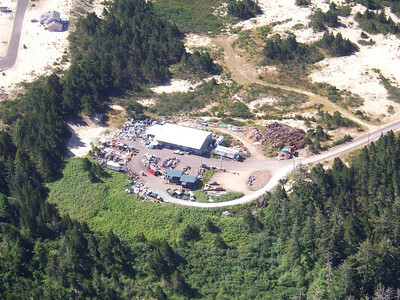 Trucks hauled dumpsters full of solid waste to the central transfer station near Tillamook. 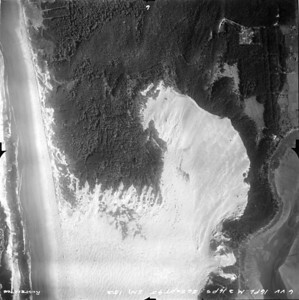 Taken in 1945. Tillamook County had its first dump in north county at the curve of Necarney City Road just west of the cemetary. Taken 2005 by Richard Felley. CARTM Recycling, a nonprofit organization, began operating the transfer station in 1999. 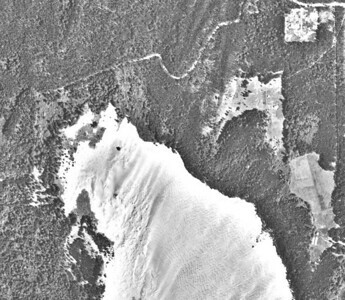 The light green area toward the lower left shows the previous dumping field. Taken 1954 for Oregon Department of Forestry. 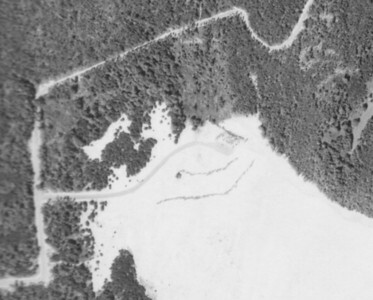 The present site of CARTM began in 1953 as the north county dump. By 2010 the CARTM site included a second building, new Z walls and loading docks. Taken 1965 for Crown Zellerbach Corporation. 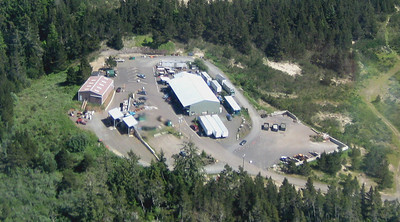 The north county dump had become a well established part of the community. By 1986 the dump had become a transfer station. 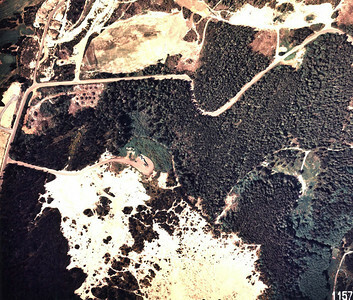 Vegetation begins to cover old dumping grounds.